Here’s the thing: there’s only so much time in the day. If your business is consulting based and you only bill for time spent at appointments and getting to/from appointments, you should base your hourly rate off of having 10-15 billable hours a week, unless you are an extreme extrovert. If you base your rates off some other metric, then you still need to make sure it’s reasonable by doing some cold hard math. For example: I don’t charge hourly for my writing services, I charge per word (partially because I write so fast that per-word tends to come out better for me, even factoring in for email and editing time). I know that 2,500 words per day is pretty much my max output. My current per-word rate is .12, so 2,500/day = $300. $300/day x 23 workdays this month = Holy crap, I can make $6,900 this month! That’s my income goal! More realistically, I can plan on working at max capacity for billable writing three, maybe four days a week. That puts my income cap at my current rate in the $4,000-5,400 range. (That’s gross, not net – it doesn’t take into account taxes, etc.) That also doesn’t take into account product and/or course income, which can be a pretty solid chunk of money. This means that right now, with my current business model and rates, creating the fabled “five figure month” or “six figure income” is pretty much impossible and I’m okay with that. Diversify your income streams. Make products, if you’re used to offering services, or vice versa. Experiment with sponsorship – Patreon or Passionfruit can help. Do a class (a one-off event people pay for) or a course (a longer, ongoing learning process, like the guest posting for fun & profit course). Start delegating. If you look at the “all the other things that go into running a business” list above, you’ll notice that several of those items can be delegated. You can get started without hiring an assistant by delegating basic things like researching by using FancyHands (read my review of FancyHands here, one year update coming soon), and Zirtual can also help out here. Here’s some tips on delegating from the archives. Of course, delegating frees up more of your time, but it also costs money – so it’s important to keep track and make sure that you’re coming out ahead. Not sure which one is the best way to go, or how sustainable your rates are? Sound off in the comments – I’m here to help! PS: Don’t forget to sign up for the webinar tomorrow – you can do that here. I’ve always thought that people went a bit too big for income goals, and the “six-figure income” push is a bit unrealistic for most people. Love that you’re showing people how to make it more realistic. When I first started freelancing, I fell into the trap of, “Oh, well, if I’m making $25/hour doing transcription, and I work 40 hours a week…” But that ignored the fact that I had to find clients, do administrative stuff, etc! Now that I’m focusing solely on my business as a reader, I’ve had to adjust, and it’s a matter of coming to terms with charging enough. I can only do so many readings a day before I’m drained, which means rates have to go up! Exactly! 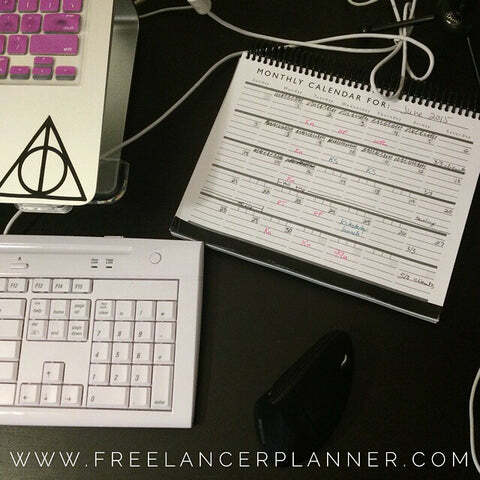 Finding clients and doing admin stuff is a HUGE time commitment, and we can also only do so much work in a day. It’s soooo important for people to base their rates on reality, and I’m glad you are Gwynne!